In the Southern Hemisphere: Tropical cyclone 07s (Cebile), located approximately 602 nm south=southeast of Diego Garcia, is tracking westward at 07 knots. Tropical cyclone 08p (Fehi), located approximately 238 nm west-northwest of Kingston Island, is tracking southward at 17 knots. 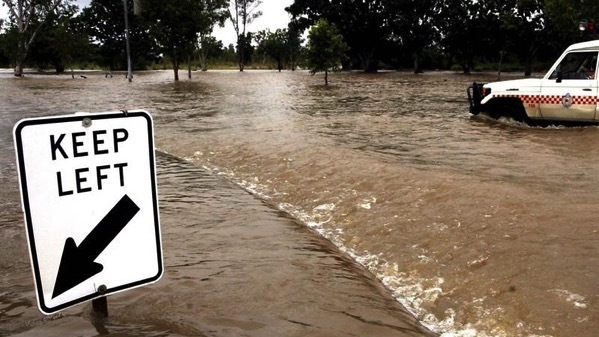 Australia – The northwest of the Territory as far as the Kimberley region was battered by monsoonal rains which brought flooding and damaging winds over the past three days. Twenty-three helicopters were used to evacuate 343 people from Daly River as the community reached major flood levels on Tuesday, with 500mm of rain recorded over three days. A number of schools were closed across the Top End as residents in Darwin and some rural areas were warned to prepare for localised flooding, with authorities providing sandbags. A search will continue for a 62-year-old man who went missing in the remote Northern Territory. Singapore – A thunderstorm on Tuesday afternoon not only flooded roads, but rained hail and toppled several trees in the northeastern part of the island. Thailand – Several hours of heavy rain caused flooding and mass traffic congestion in eastern Bangkok and next-door Samut Prakan province Wednesday morning. The Bangkok Metropolitan Administration’s drainage and sewerage department reported the heaviest rain in Bang Na district with rain measuring 120 millimetres and still coming down. Just months after the Legionnaires’ disease outbreak at São Francisco Xavier Hospital in Lisbon ended, another Lisbon area hospital is reporting an outbreak of the bacterial infection. Health authorities of Portugal confirmed today that there are seven cases of Legionella reported at the CUF Descobertas Hospital in east Lisbon. The Nigeria Centre for Disease Control (NCDC) says 21 deaths have been recorded from the 77 confirmed cases in the current outbreak of Lassa fever in Nigeria. Of the 77 confirmed cases, 10 affected health workers. 5.5 earthquake hits off the coast of Oregon. 5.5 earthquake hits the Bismarck Sea. 5.0 earthquake hit eastern New Guinea, Papua New Guinea. In the Southern Hemisphere: Tropical cyclone 07s (Cebile), located approximately 685 nm southeast of Diego Garcia, is tracking westward at 06 knots. Tropical cyclone 08p (Fehi), located approximately 285 nm south-southwest of Noumea, New Caledonia, is tracking southward at 14 knots. France – Floods in Paris and surrounding areas continue as floodwaters peaked in Paris on Monday and were threatening towns downstream as the rain-engorged Seine River winds through Normandy toward the English Channel. Rivers swollen by France’s heaviest rains in 50 years have engulfed romantic quays in Paris, swallowed up gardens and roads, halted riverboat cruises — and raised concerns about climate change. The Meteo France weather service said January has seen nearly double normal rainfall nationwide, and the rains in the past two months are the highest measured for the period in 50 years. An outbreak of typhoid fever was confirmed last October in the Zimbabwe capital of Harare and since that time some 2,444 suspect and confirmed cases have been reported. The outbreak is mainly in the western and southern districts of Harare, with Mbare and Kuwadzana being the areas most affected. No deaths have been reported. According to the International Federation of Red Cross and Red Crescent Societies (IFRC), the Vice Minister of Public Health (MoPH) in North Korea officially informed the World Health Organization (WHO) Country Office in Pyongyang of an outbreak of Influenza A (H1N1) stating that between 1 December 2017 and 16 January 2018 there was a total of 126,574 suspected influenza cases – individuals presenting with influenza-like illness. 81,640 cases were confirmed as influenza A (H1N1)and as per the Ministry communication there had been four deaths – three children and one adult. More than one quarter of the cases are reported in Pyongyang. With the addition of seven suspected Rift Valley fever (RVF) cases reported from Yirol East County, South Sudan, 20 suspect cases have been reported in the past month. Three of the cases are confirmed and three probable cases who died and had epidemiological links to the confirmed cases. 5.8 earthquake hits south-west of Africa. 5.4 earthquake hits south-west of Africa. 5.4 earthquake hits San Juan, Argentina. 5.0 earthquake hits the Gulf of Alaska. In the Southern Hemisphere: Tropical cyclone 07s (Cebile), located approximately 731 nm southeast of Diego Garcia, is tracking southwestward at 06 knots. Tropical cyclone 08p (Fehi), located approximately 201 nm west-northwest of Noumea, New Caledonia, is tracking south-southeastward at 11 knots. South Africa – Three people, including a nine-year-old boy, have died as a result of severe thunderstorms that have battered parts of northern KwaZulu-Natal since Thursday. France – More than 200 French towns are struggling against floodwaters that have halted boat traffic in Paris, closed roads and schools and prompted the evacuation of hospitals. 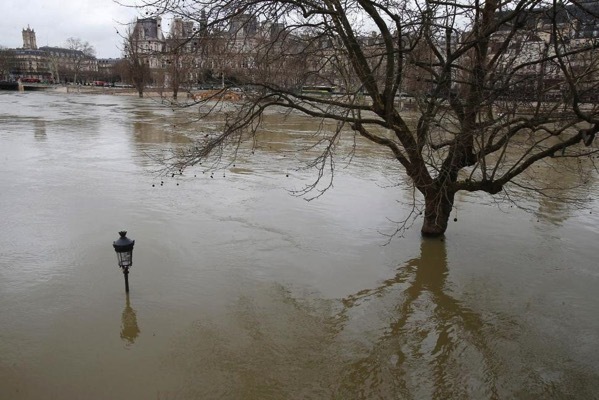 Swollen by weeks of heavy rains, the Seine River is expected to reach its peak in the French capital late on Sunday or early Monday. Paris regional authorities say the floods have already caused damage in 240 towns while nearly 1,500 people have been evacuated from homes in the Paris region. In Villennes-sur-Seine west of Paris, the ground floor of some buildings has disappeared underwater and residents are using boats instead of cars. A female firefighter died while battling a blaze on the slopes of Table Mountain on Sunday. She is suspected to have suffered a heart attack and was rushed to Christian Barnard Hospital but could not be saved. Firefighters remain on the scene to deal with persistent hotspots. Firefighters say wildfires have scorched hundreds of acres in western Oklahoma, damaging fences and equipment but causing no injuries. Firefighters battled two large wildfires Saturday afternoon, including one north of Clinton that scorched about 975 acres in Custer County. About 20 structures were threatened by flames but that none were damaged. Some agricultural equipment and supplies were damaged in the wildfire. A second wildfire located two miles east of Clinton and south of Interstate 40 scorched about 600 acres. Officials managed to move livestock grazing in the area to safety. Indonesian health teams are scrambling to attend to the deadly measles outbreak in Asmat district of Papua province. In the past few months, around 60 children have died from the disease in the remote district where malnutrition cases are also soaring. Since reports of the extent of outbreak filtered out of Papua earlier this month, Indonesia’s government has moved quickly to attend to the situation, but is copping criticism for neglecting the health of Papuans over many years. The number affected by malnutrition had surpassed 10,000, which was exacerbating the measles problem. 5.6 earthquake hits south of Panama. 5.1 earthquake hits La Rioja, Argentina. In the Southern Hemisphere: Tropical cyclone 07s (Cebile), located approximately 774 nm east-southeast of Diego Garcia, is tracking southwestward at 09 knots. Tropical cyclone 08p (Eight), located approximately 366 nm northwest of Noumea, New Caledonia, is tracking southeastward at 22 knots. Israel – Incessant rainfall in the northern and central regions during the weekend resulted in multiple flash floods, requiring over 30 search and rescue operations by police, firefighters, IDF helicopters. No serious injuries were reported. Several vehicles were also swept away by flooding while attempting to cross the Jordan River. According to the Ministero della Salute, there were 4,991 cases of measles from 21 regions, including four deaths in Italy in 2017. 87.5% of cases for which the vaccination status is known were non-vaccinated and 7.2% had only one dose of vaccine. From 1 December 2016 to 30 November 2017, 14,393 cases of measles were reported in 30 EU / EEA countries, of which 60% confirmed in the laboratory. All countries except Latvia and Malta reported cases during this period. 6.1 earthquake hits near the north coast of New Guinea, Papua and New Guinea. 5.3 earthquake hits Kepulauan Sula, Indonesia. 5.2 earthquake hits the Gulf of Paria, Venezuela. 5.2 earthquake hits the Delta Amacuro, Venezuela. 5.1 earthquake hits the Gulf of Paria, Venezuela. In the Southern Hemisphere: Tropical cyclone 07s (Seven), located approximately 754 nm east-southeast of Diego Garcia, is tracking south-southwestward at 03 knots. 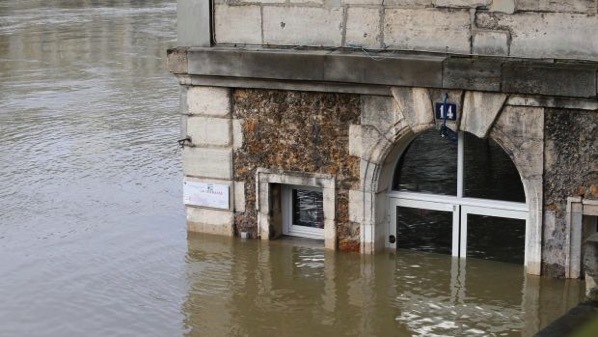 France – The floods in the French capital Paris are getting all the headlines, but the rising waters in France’s second city, Lyon, are also causing concern, threatening floods. The Saone and Rhone rivers meet in the city. The level of the Saone remains high, with the peak expected for this weekend. The Auvergne Rhône-Alpes region remains on alert even if the weather forecasts announce drier weather on Saturday and Sunday. Pennsylvania, USA – Ice jams caused the Susquehanna River to spill over its banks and flood roads in parts of Lancaster and York counties on Friday. As much as a foot-and-a-half of water covered parts of Route 441 in Washington Boro, south of Columbia, in the morning. On the York County side, the rising river was about five or six feet above normal levels. Residents around Cape Town have been warned that the city could run out of water as soon as April because of a protracted drought across parts of South Africa. Each of the residents will be rationed only 13 gallons of water per day effective Feb. 1. Reservoirs dwindled to less than 10 percent of capacity as the worst drought on record persisted during the past three years. A huge #DayZero awareness campaign is being combined with increased leak detection and repairs to help conserve what water is left for the 3.7 million residents.